SEA LIFE Orlando Aquarium has welcomed a loggerhead sea turtle named Ted to its new home in Orlando. This new addition is a rescue turtle acquired by the Florida Fish and Wildlife Conservation Commission. Ted received his name after being one of the first turtles used to test at-sea Turtle Excluder Devices (TEDs) in scallop/whelk fisheries by the National Marine Fisheries Service (NMFS). TEDs are escape hatches in fishing nets that allow turtles to escape if trapped. 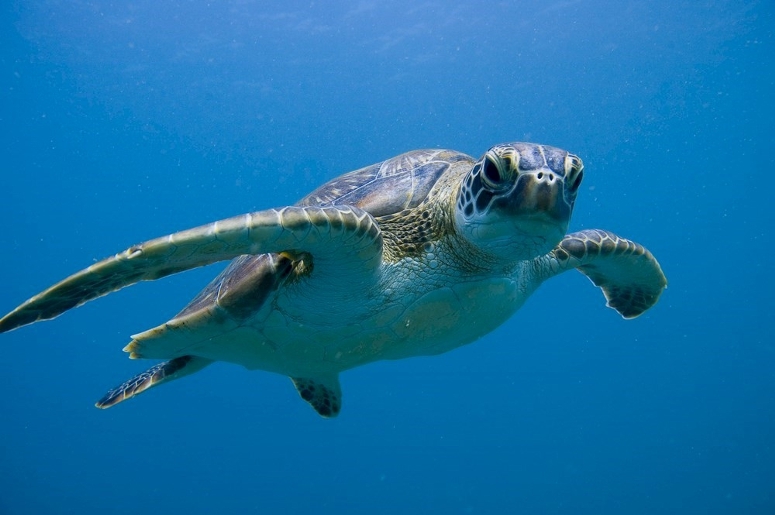 Each year NMFS conducts at-sea certification trials to determine designs, modifications and different configurations of TEDs that are safe for sea turtles and may be used in the United States. Ted was released in St. Josephs Bay in the Panhandle area of Florida in late 2002. He was observed swimming offshore for many days in the same area. Despite multiple attempts at a release, Ted continued to return to shore and show behavior that was not consistent with survival in the natural habitat. Ted joins new neighbors such as Chely (a rescued green sea turtle), sandbar sharks, sea horses, Everglades Pygmy sunfish, butterflyfish, triggerfish, moray eels and more than 5,000 other sea animals that are featured in more than 32 display habitats from the oceans and waters of the world. The Development of TEDs (Turtle Excluder Devices) has reduced accidental turtle catches in fisheries, TEDs create an escape hatch for turtles but don’t allow the desired catch to escape. PHOTO: © 2016 SEA LIFE Orlando Aquarium. All Rights Reserved.